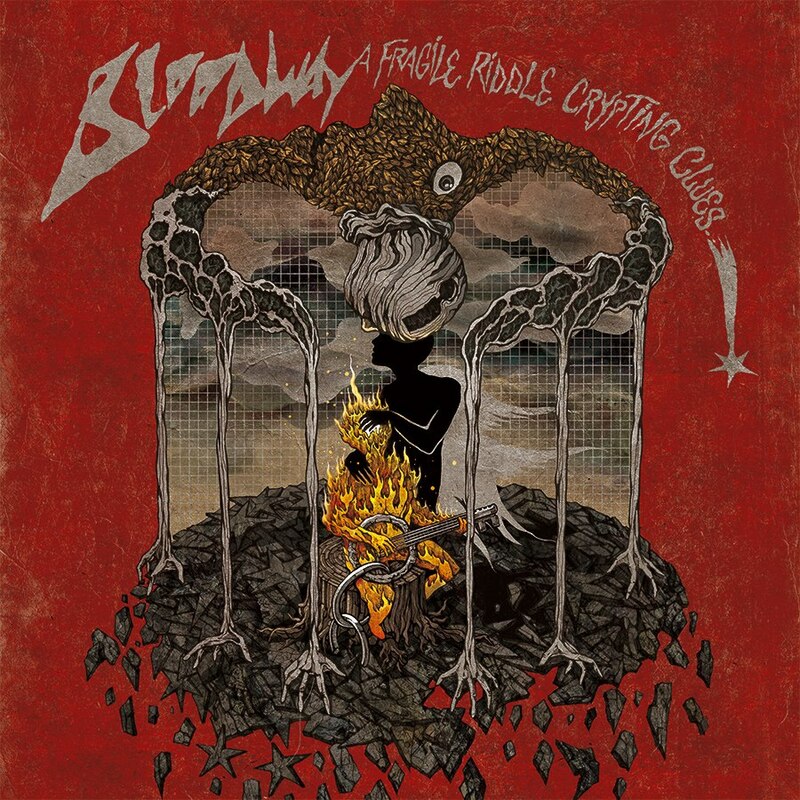 According to Bloodway's mainman—guitarist/vocalist Costin Chioreanu—the experimental Metal band's new recording, "A Fragile Riddle Crypting Clues" is "the closing chapter of a trilogy which started back in 2014, with our debut EP and continued with the our first full length in 2015." Bloodway's "A Fragile Riddle Crypting Clues"
As a consummate visual artist that has collaborated with bands like Enslaved, Mayhem, Arch Enemy, Arcturus, At The Gates, Chioreanu was in charge of envisioning and producing the album's cover artwork. "I think is pointless to say that each cover or illustration I'm making for Bloodway is highly personal and is a window to my deepest inner world," he admits. The illustration features the same human-like character that has appeared on the band's previous imagery. "On all Bloodway albums we have the character and his shadow. This cover keeps the legacy of previous two records. Now the character is on fire and is yelling in pain, while the shadow tries to calm it down." 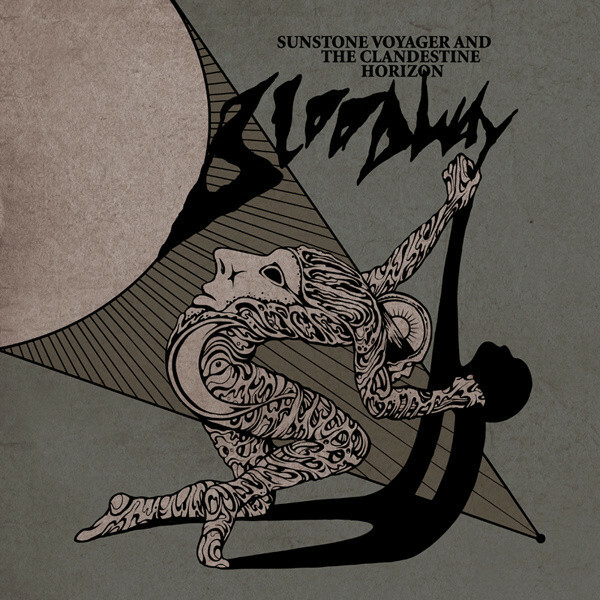 The cover of Bloodway's 2014 debut EP introduces the human-like character and its shadow. Chioreanu explains the concept even further: "The character is yelling because all the experiences he had achieved, because he understood the essence of human life in this thing called society. He is the child of fire, that inner child every creative person needs to have and to protect. The child is desperate, he is still playing at those strings of a key. The key has two meanings: once it represents that key of the cell prison which nobody once to leave in order to live outside society, but is also presents the idea that music is the key to the soul and high realms. The music is also a portal to the depths of mind, as that higher character is showing in the picture.. the key has a chain. The chain tells a story: there are moments when you might want to quit music, from various reasons, but you simply cannot, as you are totally addicted to it. 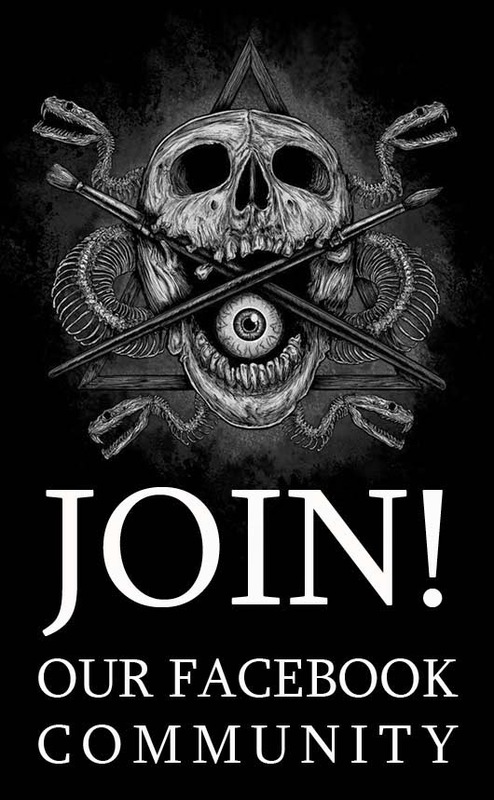 Sometimes this addiction can harm your soul, when you see musicians and friends from the scene turning into monsters hunting just fame and money, when you see the void exploited at maximum and the whole artistic decadence for the sake of attention and profit. The addiction to music can be also like a blessing, that dream world we all dreamers need so much. Depends on us how we can get the power to keep ourselves in that dream world as much as possible. The shadow of the character is having for the first time wings. Is a sign that it will soon departure to higher realms, to reach different worlds, higher than the flesh or flames of his companion." 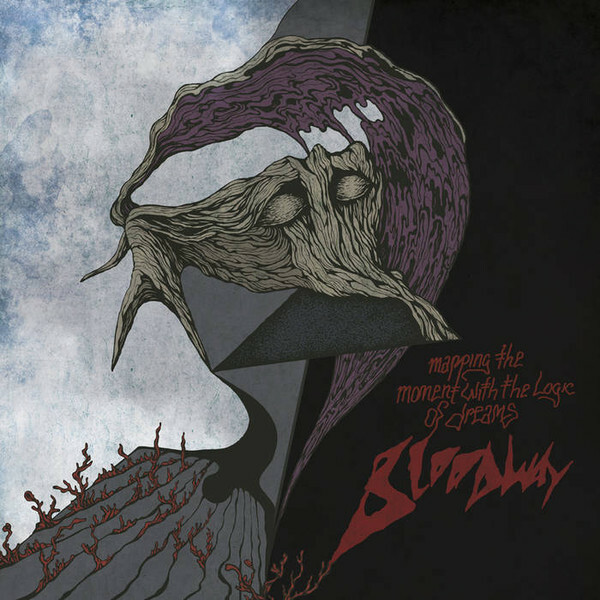 Chioreanu's artwork for Bloodway's first album, "Mapping The Moment With The Logic Of Dreams." Regarding, the elements surrounding the main character in the artwork of "A Fragile Riddle Crypting Clues," the artist explains: "The entire base of this world is falling, piece by piece. As much as the character understands the structure of the prison around him, created only by the hand of humans a sick imposed perception, as more the foundation of this is turning into pieces. The math-squares from behind who are "measuring" the spectrum of visible universe are a parody o the pathetic human tendency of measuring and classifying everything.The face made of leaves is the soul of the band. This band is heavily related to autumn and it will forever remain like that. So, the bars of the prison are having as well a second meaning: those are the hands of 3 characters which are the band members, Me, Alex and Mihai. We created with our hands and minds this whole story, so we are there as well." Bloodway's "A Fragile Riddle Crypting Clues" will be available on November 3, 2017 via I, Voidhanger Records. As i love to see different things regarding creativity and art, this post is quite horrible but it's too deep when we understand it, The artist who create these must be a deep thinker, Great job.